It wasn’t too long ago that I thought Preston North End’s chances of reaching the play-offs were minimal to say the least but here they are just four points outside of the top six. There are still teams who are better placed but PNE are 10 games unbeaten now and have to be taken seriously . If they were to come away from Middlesbrough with something on Wednesday night, things might just get very interesting. It was a great result for them at Blackburn, winning 1-0 in front of 7,500 fans who had made the journey. At times they had to dig deep, defend well and ride their luck a little bit, but sometimes you need to do that – victories aren’t given to you on a plate. I’ve noticed that North End have been scoring quite a lot of early goals and the winner at Ewood Park from Daniel Johnson was in the eighth minute. Scoring early as the away team can give such a big lift, it quietens the home fans and gives you belief. Johnson scored for the second game running after his recall and that is the type of response managers look for from players who have been left out. He’s had to wait his turn but every credit to him, he’s taken his chance. 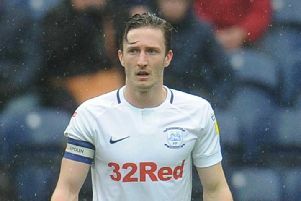 His scoring record is good at North End, every since he came in during the League One days. It is always healthy when you’ve got different players chipping in with the goals and I think that’s seven for Johnson this season – not bad when he’s not been a regular starter. Next up for North End is a trip to the Riverside Stadium to face a Boro side who are seven points above them. From being from up that way, I know a lot of Boro fans and they are not in the best of form at the moment. They lost to Brentford at home on Saturday and drew 0-0 at Wigan Athletic the week before. If North End can go and get an early goal there, it could see the Boro fans turn on their side. Another side up there in the promotion mix is my old club West Bromwich and I was so surprised to see them sack head coach Darren Moore on Saturday night. I played with Darren at the Hawthorns and he is a legend down there. Had he been given the job a few games sooner last season, Darren might well have kept them up. This season it seems that he had paid the price for the Baggies slipping out of the automatic contention. When clubs come down from the Premier League there is a huge pressure to get back up quickly because of the financial implications. Finishing on a sour note, it was disgraceful to see the Birmingham ‘fan’ run on to the pitch and punch Aston Villa’s Jack Grealish in the West Midlands derby. Unfortunately, that is the only thing people will talk about rather than the game. This is when the courts needs to make a stance, lock this idiot up and ban him from going to games. Football has come a long way in making grounds safer places and it cannot allow an incident like this to ruin all that good work.